GTECH G2 will feature major software releases for its bingo, poker, casino and minigames products when the four igaming software developers that comprise GTECH’s igaming division – Boss Media, Finsoft, St Minver and Dynamite Idea – exhibit together under one brand, GTECH G2, at the European iGaming conference (EiG) in Copenhagen this week. Upholding the tradition started by Boss Media, G2’s executive gala on opening night will be the social highlight of the conference. “We’re looking forward to introducing our new interactive gaming division to the igaming industry,” said Atul Bali, CEO of GTECH G2. “We are already providing interactive gaming products to some of our European and South American lottery customers and, with the combined resources of our interactive gaming acquisitions and GTECH’s global market leadership of the lottery industry, we will be leading the convergence of the igaming and lottery industries." GTECH G2 provides an end-to-end solution for igaming operators, providing bingo, poker, casino and minigames accessible from one account, one wallet and managed through one Gaming Management System. This month, GTECH G2 is releasing a series of major software releases. An addition of seven new minigames and slot games (Hot Pursuit, Luxor Temple, Rockin´ Fruits, Irish Magic, Hells Bells, Burning Ocean, Spot of Luck) have been added to the already extensive GTECH G2 games portfolio. 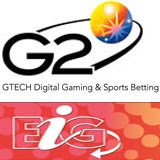 GTECH G2 will present a major update to its bingo software at EiG this week as well as the launch of the Games Studio and the latest casino software update which integrates tournaments with the Gaming Management System.